Customized blurb module layouts you can copy/paste into your Divi website. page options or child theme you can create some cool hover effects to add a little extra eye candy for your viewer. Below you will find examples for each blurb along with the CSS code required to achieve the hover effects (and any settings in the blurb you may need). This blurb is fresh out of the Divi box and has no customization added. It’s kind of boring huh! 3. 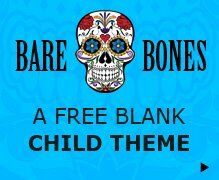 Copy the CSS for the blurb you are using and add to your pages custom css, your theme options custom css or your style.css in your child theme. 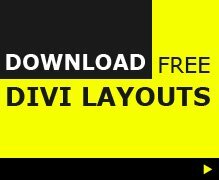 Free Divi blurb hover effects from Divi Theme Examples you can just copy and paste into your next Divi website. Great blurb examples. a big thank you for sharing these delicious examples. Keep up the great coding. I will use these in my designs. Please let me know how can i replace custom icon in this code. I was trying to change the color code but when i change it hover effect is not working. do you mean in the demo above, or on your site? if your site, whats the url? I’ve been having difficulties in all my attempted animations using custom CSS and divi. No animations seem to want to play out and they transition instantly. That includes these code example. I’ve been wracking my brain for a day trying to figure out why and still am not sure. I’m having trouble with blurb-7 design. It seems to be working perfectly fine in the divi visual builder view but if I preview the page in live the bottom border is appearing at the bottom of the section instead of the bottom of the blurbs. Do you know why that is? Thanks for this. These are awesome!